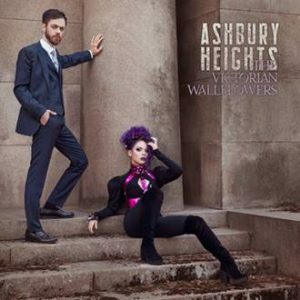 Lighter and fresher, Ashbury Heights. Three years after “The Looking Glass Society”, the Swedish electro-pop duo returns with “The Victorian Wallflowers” and adds a diamond to their discography. This time, Anders Hagström and Tea F. Thimé went all out and and created an album as diverse and dynamic as the moment. Purified in sound by Mario Rühlicke (Blutengel), the choruses are presented in a most memorable way, the overall palette has become even more varied and the sounds reveal an astonishing eye for detail. The irresistible glamor of the band continues as well as a subtle wickedness and bitter-sweet taste, that has transformed it into one of the most exciting electro-pop acts of our time. “The Victorian Wallflowers” is a sparkling gem for friends dancing through nights that feel just as comfortable in shady corners, as well as in the middle of the dancefloor.